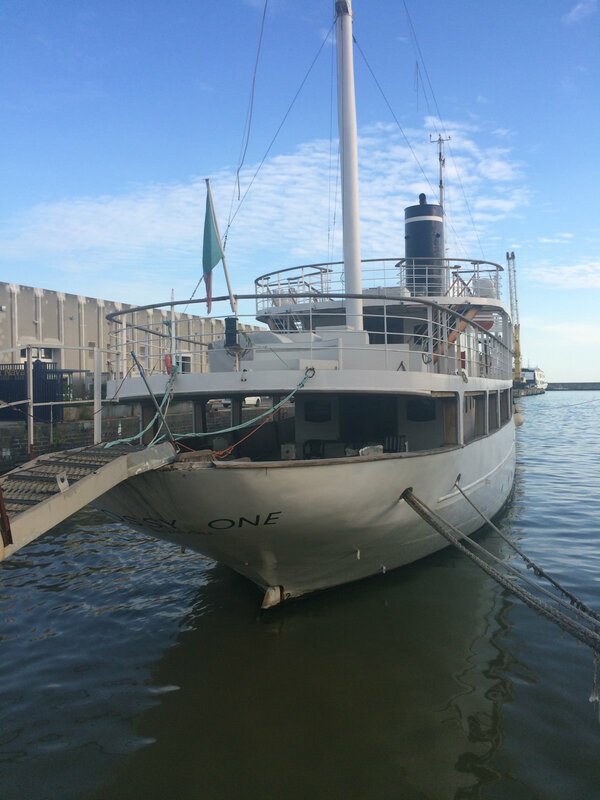 Vita is one of the very last opportunities to restore a large classic yacht of the inter-war period. Argosy was built for Charles A. Stone of the New York bank Hayden-Stone. 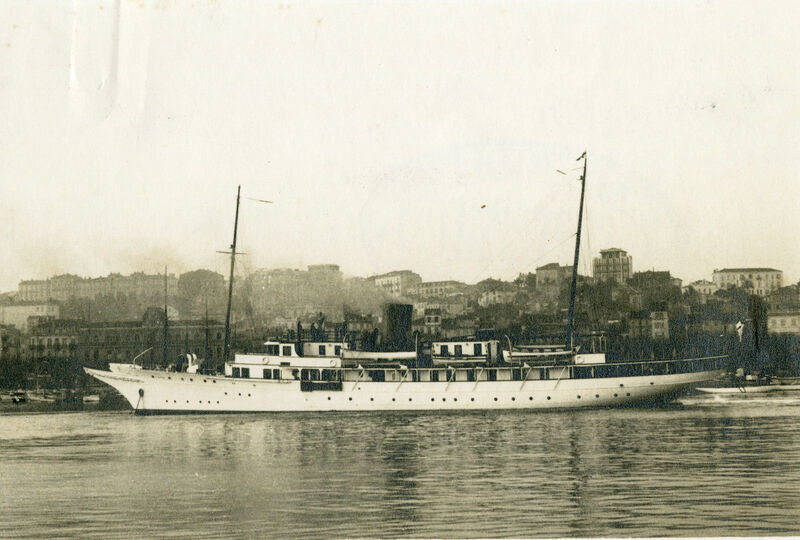 Designed by the American firm of Cox & Stevens and built by Krupp’s, she is just one of several American-owned yachts of the inter-war period to share a similar genesis. Others include Haida, Talitha G and Caritas. 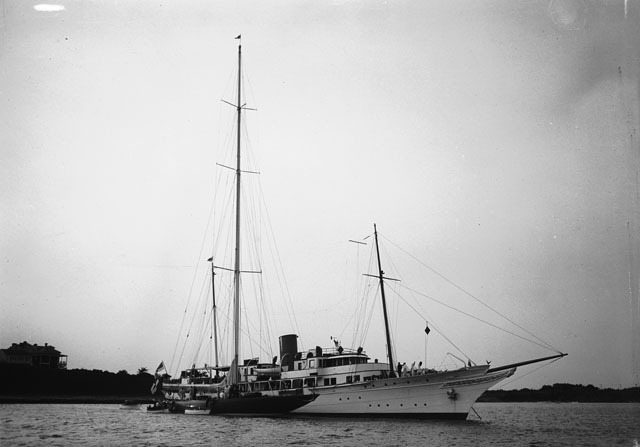 When Sir Thomas Sopwith needed a large yacht to act as tender to his J-class America’s Cup Challenger Endeavour in 1934, he acquired Argosy and re-christened her Vita. Vita escorted Endeavour on her Atlantic crossing and acted as mother-ship during the Cup racing off Newport, Rhode Island. 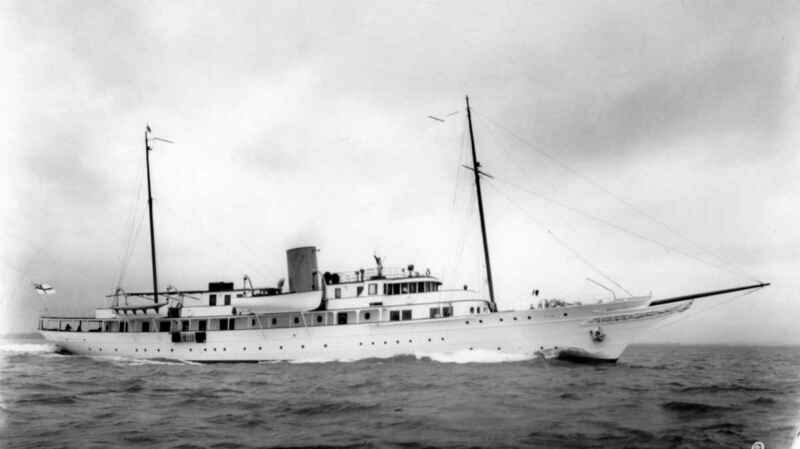 Sir Thomas kept Vita until 1937 when the yet larger Philante (now the Norwegian royal yacht Norge) was launched for him. Vita then passed into the ownership of Marino Gamboa, a French resident. Vita’s wartime activities are not currently known, but by 1947 she was armed and had been illegally renamed Ben Hecht. Under this name she was used as a clandestine emigrant ship breaking the British blockade of Palestine immediately prior to the creation of the state of Israel. 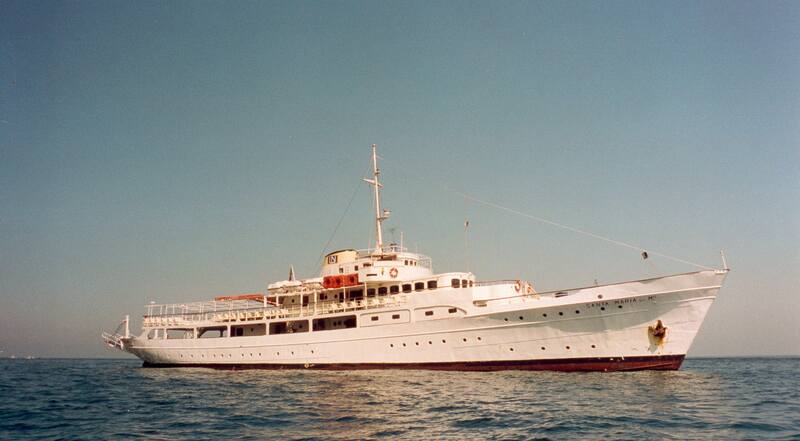 Arrested by the Royal Navy she appears to have changed owners and names at least twice (Abril and Satira) prior to 1957 when she arrived in Naples and was put to work as the ferry Santa Maria Del Mare running to Capri. 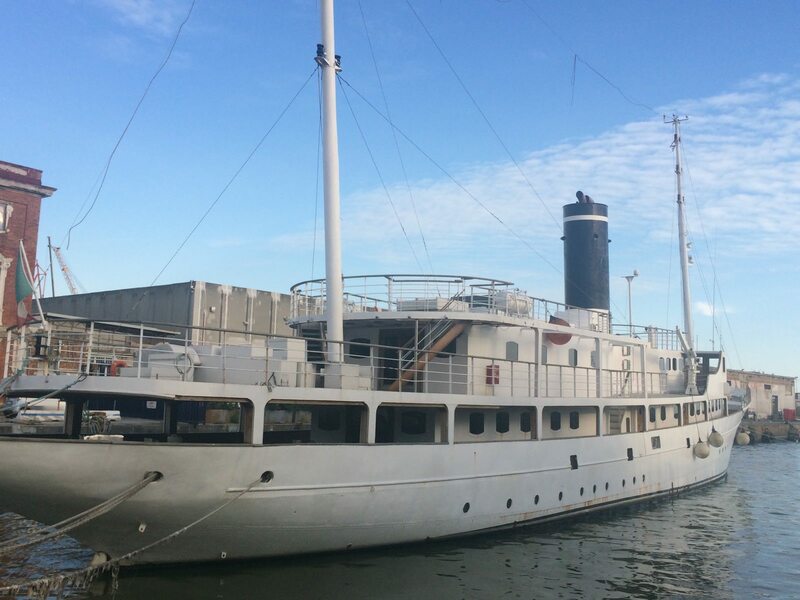 Most recently, this 65m classic yacht has undergone a substantial refit, but remains a major classic yacht restoration project. She is potentially available at a cost that makes total restoration a reasonable undertaking. We hold all of the key original drawings and data to underpin the successful restoration of what is one of the very last opportunities to restore a large classic yacht of the inter-war period.